A poetic thought taken overly literally by many, it would seem; also, a succinct description of the psychology driving coastal development. A preview of the Oak Bluffs Coastal Climate Change Vulnerability Assessment & Adaptation Plan will be presented this Tuesday at the Selectmen's meeting in the OB Library meeting room. The project is intended to assess the risks and impacts of climate change on the Oak Bluffs shoreline and offer adaptation strategies to help preserve coastal open space, recreational benefits, and coastal infrastructure. Thursday, Nov. 20, 5:30 pm, Vineyard Haven. Cape Cod and Martha's Vineyard share similar problems regarding nitrogen loading in coastal waters. This Thursday, the Cape Cod Commission joins the MV Commission at the Katharine Cornell Theatre to share early results from CCC's multi-million dollar study of nitrogen issues and solutions. To learn more, see the commentary written by Mark London, Executive Director of the MVC, or go straight to the CCC website. Felix Neck's Fall Festival is a tradition held annually the day after Thanksgiving. Now in it's 24th year, the festival this year features hayrides, face painting, wreath making, crafts for kids, live music by The Flying Elbows, and live birds of prey from New England Reptile and Raptor. $8 ($5 for members). For more info, see website or call 508-627-4850. Felix Neck is also seeking volunteers to help with the festival. A fun family event at Long Point featuring a scavenger hunt for duck decoys and other activities. $10 per family, for more info see website or call (508) 693-7662. November’s Harvest of the Month recipe from Island Grown Schools is one of chef Robin Forte’s most unique contributions to the program. This sweet potato and black bean salad was also a huge hit at the Edgartown School, so unusual doesn’t have to mean unpopular! Preheat oven to 350. Peel the sweet potatoes and cut into ½ inch cubes. Toss them with 2 tbsp olive oil and then roast in the oven about 10-15 minutes, until tender. Remove and cool. Drain and rinse the black beans. In a large bowl combine the beans, cooled sweet potato, red pepper, and cilantro. In a small bowl combine lime juice, lime zest, honey and remaining olive oil. Add the honey-lime dressing to the sweet potato mixture, then add salt and pepper to taste. As a tribute to one of the founding acts of the Vineyard Conservation Society, we kick off this year’s Winter Walks series with a return to the Gay Head Cliffs this Saturday (Nov. 22). 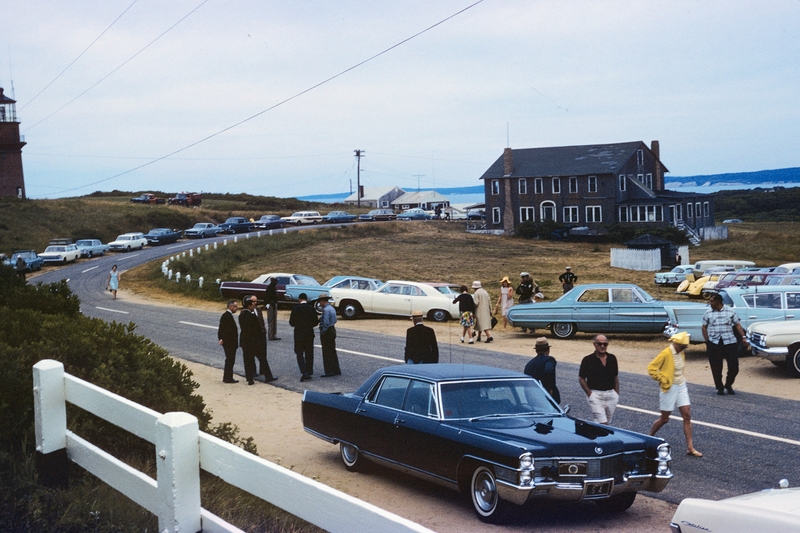 In 1965, our first official year of existence, VCS collaborated with the Town of Aquinnah to win a National Natural Landmark designation for the Cliffs. Since that time, VCS has helped conserve many other parcels of open space, family farms, and natural habitats, but the Gay Head Cliffs will always remain one of the most iconic and powerful reminders of what is special about this Island. One of those special aspects of the Vineyard ― on full display at the Cliffs ― is our unique geological history. Saturday’s walk was rescheduled from our usual date* to coincide with an extra-low tide, in an effort to get a better look at the rapidly-eroding glacial deposits of the area. One of the interesting aspects of the Cliffs is that a wide diversity of geologic eras are visible in the exposed strata. Former VCS Executive Director and amateur geologist Bob Woodruff will lead the walk. We also hope to be joined by Fred Hotchkiss, Director of the Marine & Paleobiological Research Center in Vineyard Haven. So please join us this Saturday at 1:00 for an invigorating walk and engaging tour through the history ― land use, cultural, and geological ― of this unique national landmark. Also, as we are expecting a big group, please let us know if you plan to attend; give us a call at (508) 693-9588, or email. The walk will last approximately 2 hours. Parking will be at the Aquinnah beach lot; look for VCS signs and yellow flags on the left while driving up Moshup Trail (from the down-island end). All VCS Winter Walks are free and open to the public. * December through March our Winter Walks will be held at the usual time of 1:00 on the second Sunday of the month. See complete schedule at our website. Offshore Sand Mining: Let Your Voice be Heard! My kingdom for a cubic yard of sand! Hopefully, it doesn’t come to that. But beyond the economic forces and aesthetic values that will drive interest in restoring eroding beaches at any cost, there is also a serious environmental argument in favor of beach nourishment via the addition of sand taken from elsewhere. VCS has long believed that the preferences among the three broad approaches to adapting to sea level rise and coastal erosion could be roughly characterized as: managed retreat where possible, soft stabilization where it’s not, and hard armoring only as a last resort (more detail here). But since economic and cultural realities make managed retreat impossible in many locations, soft stabilization is a necessary focus. A lot can be done through coir (coconut fiber) logs and other biodegradable materials placed on beaches, encouraging native plantings on exposed dunes, and even the construction of natural reefs through shellfish aquaculture, but in many places a comprehensive beach stabilization plan is going to require nourishment with sand. And this is where the recently released draft of the Ocean Management Plan from the state office of Coastal Zone Management comes in. Recognizing that sand from inland sources and nearby dredge spoils (for example from maintenance of channels and flushing of coastal ponds) is insufficient due to supply or cost (or both) to meet beach restoration needs, CZM has spent the past five years updating the Ocean Plan with improved data and mapping. While excluding areas with incompatible features, such as rare species habitats, commercially important fisheries, recreational boating hotspots, utility cables and pipelines, and many others, they identified twelve sites for further study ― two of which are off the coast of the Vineyard. The plan is still preliminary; for example, data regarding fish resources were incomplete at the time of the draft release, so further input from the state Division of Marine Fisheries could very possibly alter the suggestions. More broadly, CZM is only planning to undertake small-scale pilot projects at this point, and is seeking community input from citizens and local officials before moving forward. However, despite its preliminary (and draft) nature, the new report’s identification of sites close to the Vineyard as potential sand mining sources has touched off some local controversy. Chilmark selectmen have strongly objected to the proposed site located between their town and the Elizabeth Islands, citing impacts on commercial and recreational fishing. Because the need for sand is real, we do not necessarily oppose offshore sand mining, but do want to make sure that all environmental concerns are given their full due. The MV Commission has prepared a thoughtful set of comments on the new Ocean Plan, which raises concerns about the data collection and analysis used to determine areas suitable for offshore wind development and/or sand mining. Opposition in this case should come not from NIMBY-ism (we are, after all, the ones who want the sand), but from the expertise of our local residents and community representatives who best understand the environmental issues particular to the proposed development areas. Fortunately, CZM’s process to this point has been deliberate, scientifically rigorous, and transparent. But the end of the public comment period for this draft is next week, and they have indicated to us that they have received surprisingly few letters. Comments can be sent via mail or email, so please submit your thoughts today! In light of last week’s monumental carbon emissions reduction agreement between the US and China (the first time the Chinese government has agreed to emissions limits of any kind), it seems appropriate to look at the connection between one of our most important local concerns ― nitrogen contamination of coastal waters ― and the global issue of climate change. As described in the Boston Globe, recent work has shown that marine eelgrass beds, along with marshes and tropical mangroves are more important carbon sinks than previously understood, accounting for half of the carbon stored in the world’s oceans in only 2% of the total area. They are so effective at sequestering carbon because once stored by the plants as biomass, even after death it decomposes very slowly due to the lack of oxygen in the ocean floor. But what’s the catch, and the connection to nitrogen? These plants may be rooted in the ground ten or more feet below the surface, but they still need light for photosynthesis, and a lack of water clarity is one of the consequences of excess nitrogen (and other forms of pollution). So, here’s one clear example where taking the nitrogen out of the water can help cut carbon pollution in the air.